Ben and I intended to explore Belcarra Regional Park on Victoria Day. Unfortunate, we did not make it because there was no parking available. The place was so popular that even the overflow parking was full. We will come back some other day and will definitely come early. So, we changed our plan to look for a place for lunch instead. We ended up at Henderson Place Mall. The mall was quiet, not sure if it is because it’s a public holiday. We went to check out the foodcourt. 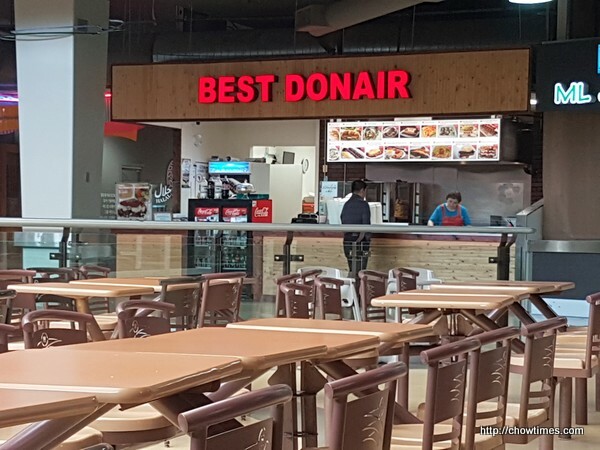 Ben went for some middle eastern food at Best Donair. He had falafel with salad and rice. The rice was flavoured with dill. 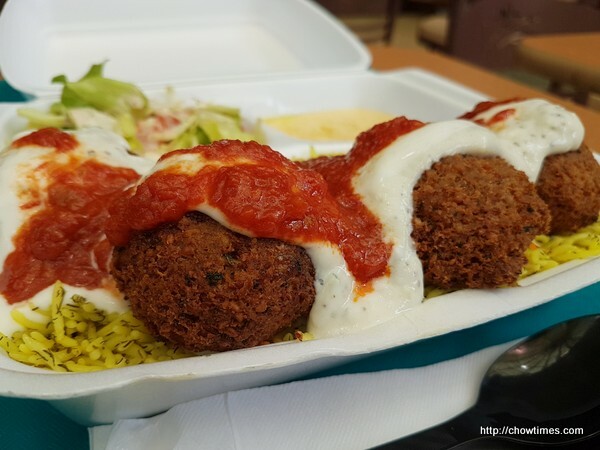 The falafel was fried to crispy on the outside. Ben likes his choice. 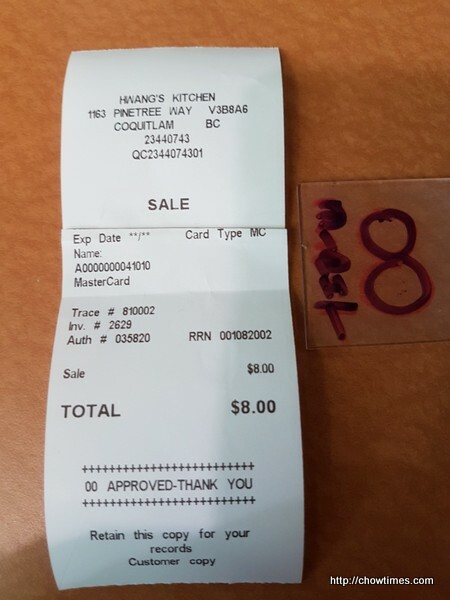 Ben’s order was $9.60, paid in cash. I went for Korean food instead. 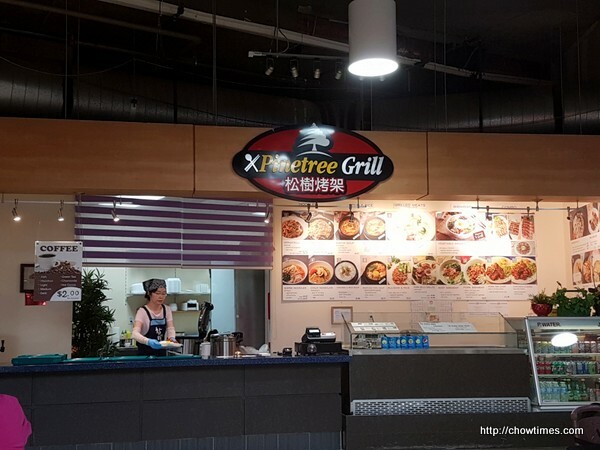 I love the food court here as there are many Korean and Chinese stalls. 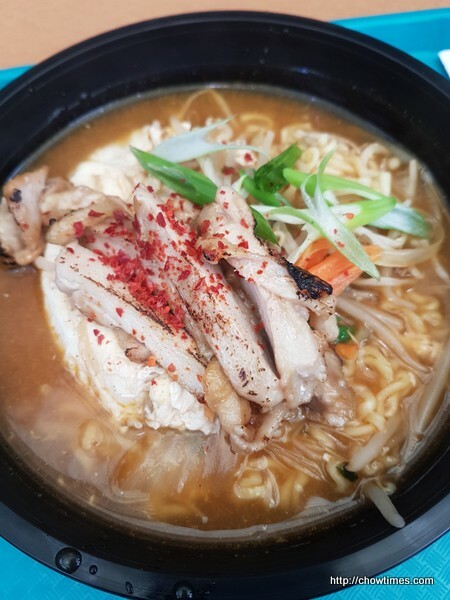 I had a snack version of Ramen with chicken. My noodle came with a small serving of daikon banchan. I like the crunchiness of it. 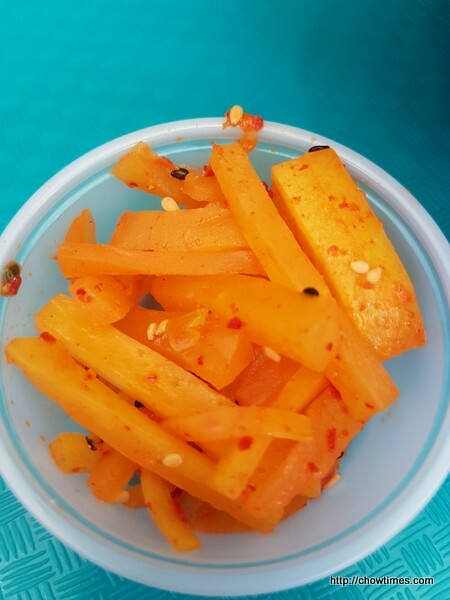 Hwang’s Kitchen accepts credit card.